Event in Anchor & Den Restaurant - Grand Cayman - The Beach House Experience - Anchor & Den’s take on International Day of Happiness. Anchor & Den’s take on International Day of Happiness. International Happiness Day is a holiday that was created by the United Nations to remind people across the globe of the importance of striving towards being happy. The idea behind this glorious occasion came after all 193 member states of the UN adopting a resolution for the well-being of people to be given a greater priority. This day is campaigned by the people of ‘Action for Happiness’ whose mission statement is: "I will try to create more happiness in the world around me." – We are all about this statement! Here at Anchor & Den our foodie philosophy goes beyond simply eating. 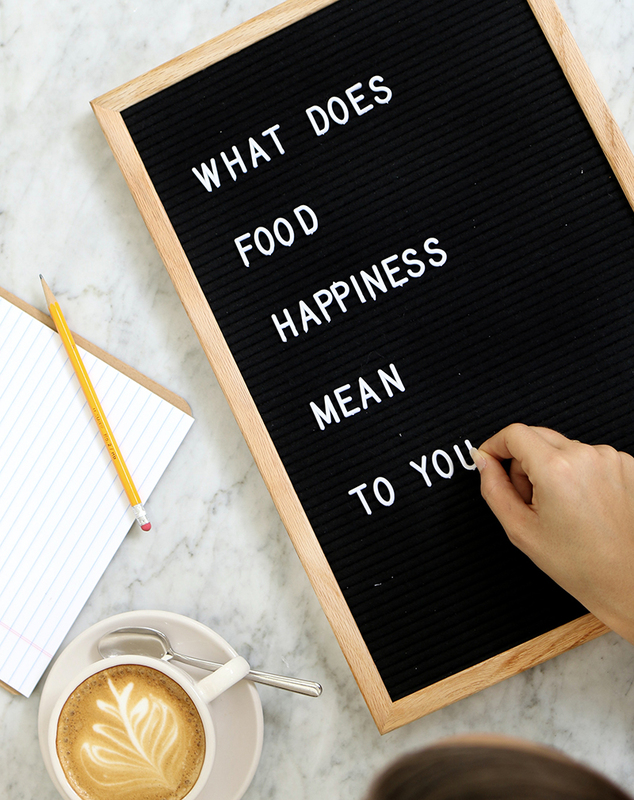 We are true believers of food happiness and as today signifies all what’s happy in the world we wanted to share with your thoughts on what really lights our fire! We gathered up a few similar faces from A&D and asked them what does Food Happiness mean to you? Anna – Lead Server - South Africa: Food Happiness to me is when you see the server coming over with your food, your heart fills with joy! The anticipation of what’s to come is just as good as that first bite! Liam – Barista - Canada: Food Happiness is the country you’re in! I believe that travel really opens your mind to people’s cultures and most importantly, their cuisine! The memories that will stick with me forever is the street food of Bangkok, it’s out of this world. Laurence – Lead Hostess - France: Food happiness for me is the image of myself and my parents picking vegetables in the garden when I was a child. This has always made me appreciate where the food on the table comes from. Donique – Hostess – Jamaica: Food Happiness for me is family. Back in my country when we have big family gatherings we all gathering outside and we cook everything on the bonfire. It’s magical and every time I see people cooking with fire, it takes me right back home. Gabor – Lead Bartender – Hungary: Food Happiness for me goes hand in hand with my life philosophy, which is for everything to be balanced. Marco - A&D Manager - Austria: Food Happiness for me is making others happy. Whether that’s strolling the marketing getting the most perfect ingredients to cook for dinner tonight to making that special someone breakfast in bed. I like to make people happy and food I think is one of the most personal ways to do so, this why I love this industry so much. Wendy – Lead Server – Honduras: Food Happiness to me is the image of my mother cooking. My childhood is filled with memories of her baking and having all of our family around the table. She is always in my heart and her recipes will be passed down to my daughters and to her daughters and so on. Yesenia – Supervisor – Cuba: Food happiness for me is all about celebration. Some of the most memorable moments in my life have been in and around culinary experiences. One that sticks in my mind is being in New York for my 27th birthday and experiencing a Michelin star restaurant for the first time. It was so special, and even more special because 2 days later I found out I was carrying my little girl! This experience will be with me forever. Join our movement, 2018 is the year to find your own food happiness. Get out there any find it, you know where you can start!